The Glens Falls Region offers a plethora of fun fall festivals and entertainment that take place each year. From hot air balloons to outdoor activities and fun for the kids, add some of these top events to your calendar! September 15, 2018: Ranked one of the top festivals of its kind in the country, Irish 2000 is a celebration of Irish music and arts. 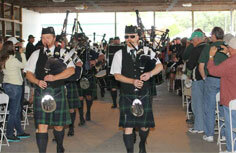 Enjoy some of the best Celtic entertainment in the world, dancing, Irish ales and lagers, and more. 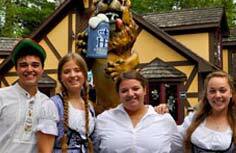 September 8, 9, 15, 16, 22, 23, 2018: Head over to The Great Escape in Queensbury for festive food, traditional German music, and dancing at Oktoberfest. 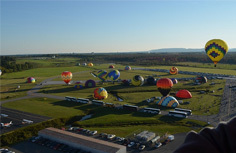 September 20 - 23, 2018: Come celebrate fall in the North Country at the annual Adirondack Balloon Festival! Watch as hundreds of hot air balloons take off all at once, filling the sky with brilliant bursts of color. 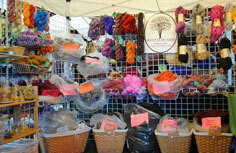 September 22 - 23, 2018: Take a trip to the Washington County Fairgrounds for the Adirondack Wool & Arts Festival, featuring over 100 vendors, demonstrations, crafts, animals, food, and more. September 29 - 30, 2018: Want to find a bargain or a hidden gem? 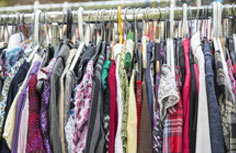 Head to Warrensburg for the World's Largest Garage Sale! It's a garage sale lover's dream as hundreds of vendors from all over the country will be present. September 29 - October 28, 2018 (Select Days): Prepare for thrills, chills, and fun at The Great Escape's popular Fright Fest. The month-long Halloween celebration will take place over several weekends, so don't miss out. September 30, 2018: Sample the best foods of the region at the 26th Annual Taste of the North Country. Autumn comes alive with music & activities as vendors from the area's best restaurants and eateries set up at Glens Falls' City Park. 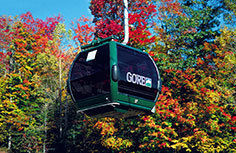 October 6 - 7, 2018: Enjoy fun for the entire family at the Gore Mountain Harvest Festival in North Creek. 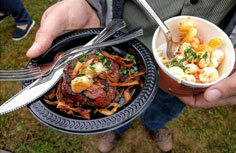 The festival will include games, live entertainment, food, Adirondack vendors, and of course, scenic gondola rides. October 27, 2018: Glens Falls' Glen Street will close for the community-wide Halloween block party and costume parade - Boo 2 You! 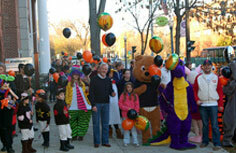 There will be trick-or-treating, spooky dance shows, and other family-friendly entertainment. 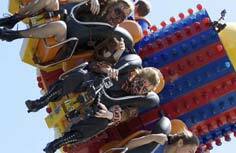 October 27, 2018: Fun and games come to downtown Saratoga Springs at the 17th Annual Saratoga DBA Fall Festival. Enjoy traditional fall activities and watch the city come alive with the spirit of fall! November 3 - 4, 2018: The LARAC Fall Arts Festival is a juried arts and crafts show that will take place at the Adirondack Sports Complex (The Dome). 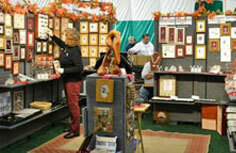 Over 70 exhibitors and vendors will be selling unique items.